Welcome to the New Year!! Something I love about January is that it is a great time to organize (or re-organize), simplify, plan, and set goals. With the rush of the holiday season over, it kind of feels nice to relax and quietly get our lives back to “normal”, right? This year I created a beautiful floral themed calendar that is completely universal. What does that mean? It means that you can use it in several different ways AND you can use it year after year if you really love it! The days and dates are blank so you can organize in in a fashion that works best for you (I just love that kind of flexibility!). Some people like to start their weeks on Monday, some people are more traditional and prefer to start their weeks on Sunday. Whatever works for you, works for this calendar! Scribble in dates, or customize it on your own computer. Add the holidays and yearly events that are important to you, and change them up as necessary. When I was a teacher, I put each calendar in a sheet protector, and then placed them all in a 3 ring binder. It was so easy! 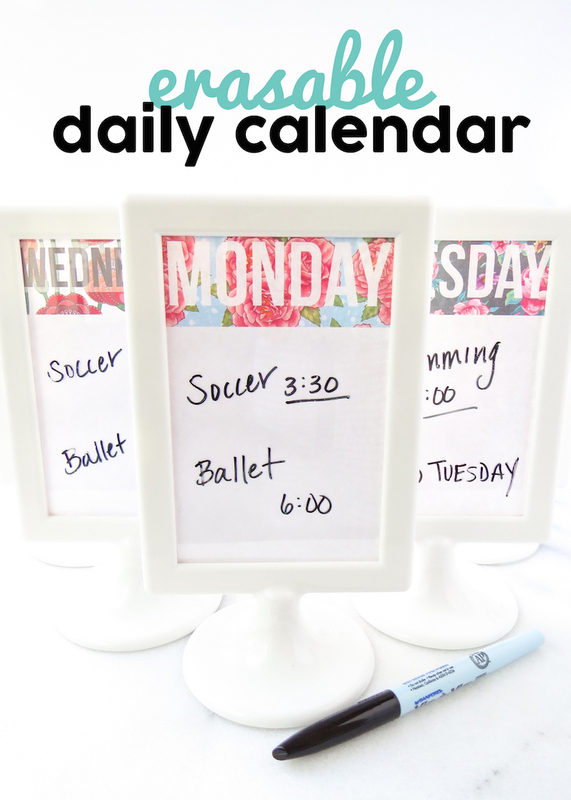 What is your favorite way to use printable calendars? I’d love to know! Be sure to share this free calendar with your organized friends on Pinterest and Facebook! Thank you for sharing those were great!! The floral designs are just beautiful! Thank you for saving me from the usual free downloaded black and white “block-style” calendar this year! I can’t wait to assemble my planner with your prints!! You have brightened many a busy mom’s day– combining style and organization! !